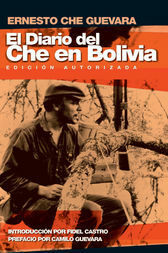 Che’s diary of the fateful Bolivia mission. Now revised by Che’s widow and with a preface by his son Camilo, this is the definitive account of the attempt to spark a continent-wide revolution in Latin America—the basis of Steven Soderbergh biopic on Che Guevara starring Benicio Del Toro. Camilo Guevara (preface) is 42 years old and is Che Guevara's and Aleida March's eldest son. He has written an insightful preface for this new edition. Fidel Castro led a guerrilla movement in Cuba that overthrew the Batista dictatorship in 1959. Since then, the Cuban president has been the nemesis of ten U.S. administrations. He stepped down in 2007 but has regularly expressed his views on world events and political personalities in his famous "reflections."